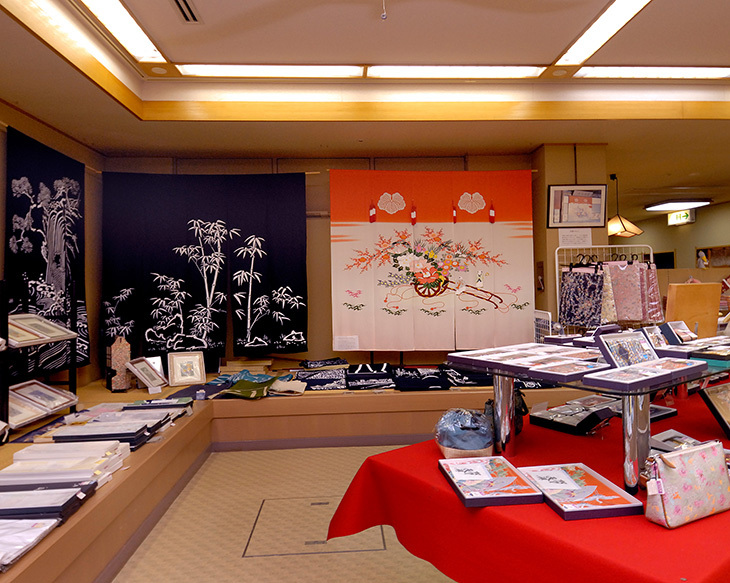 Kanazawa is a traditional city and famous for Kimono – Japanese traditional dresses. 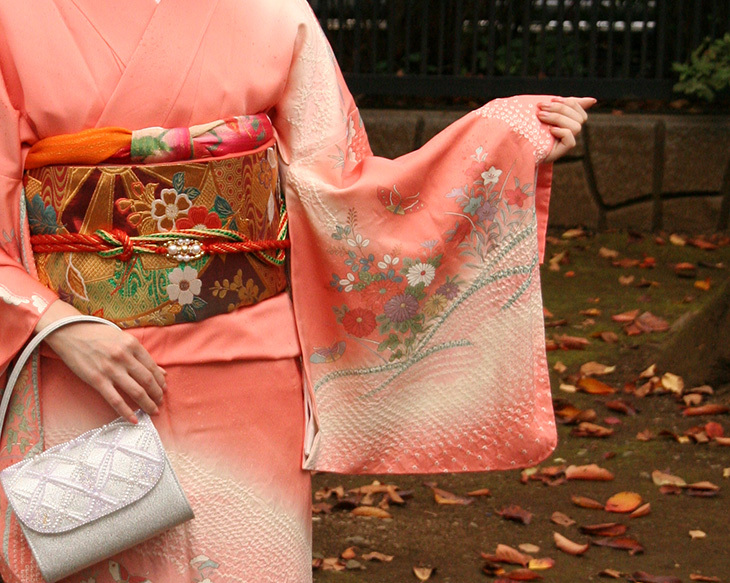 Nowadays, Japanese people wear Kimono on only special occasions – New year, wedding, or tea ceremony. However, some places still offer Kimono wearing experiences. Of course, you can take a picture. In some places, you can rent it and stroll around Kanazawa with Kimno. They have a Kimono museum, so you can learn how to make kimono. Also, you can experience kimono drawing. They are located nrea Kenrokuen – a couple of minutes from the garden. By Kanazawa loop bus, the closest bus stop is Kenrokuen garden (RL8, LL9). Ther is a big junction nearby the bus stop. Go to the right and go tp the left at the first traffic light. Kaga-yuzen Dentousangyou-kan is on the right side. By Kenrokuen shuttle bus, get off at Kenrokuen garden (S7), walk back and cross th first traffic light. Kaga-yuzen Dentousangyou-kan is on the right side. Kuraha is one of the very old kimono shop. They also have Japanese bags, shoes and some goods to walk around. They are located in Higashiyama geisha district. By bus, take a Kanazawa loop bus (clockwise) from east terminal of Kanazawa station and get off at Hashiba-cho (RL5). From counterclockwise bus stop (LL11), walk into the street you can find across the street on the right side. Walking 1 minute and then you will come into Higashi chaya geisha district. Hakuza is on the right side. 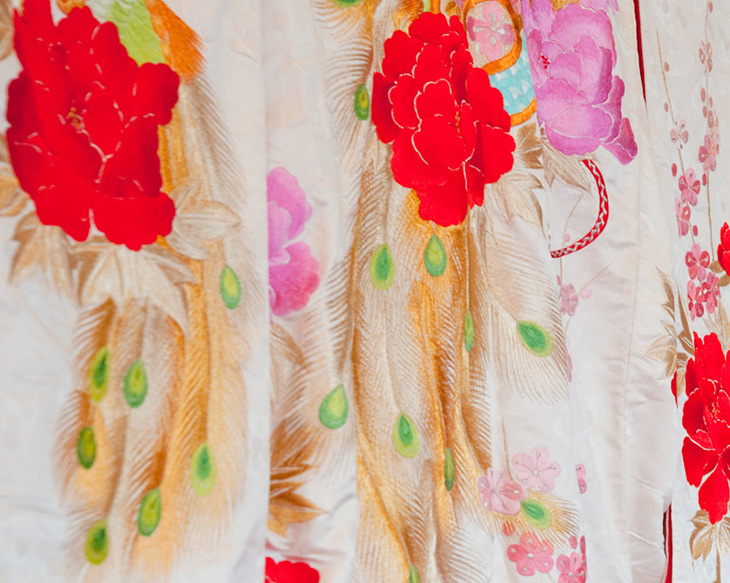 They have huge renge of kimono – both casual and formal. Also they have Kimono for men.They have some services – just walking around the city, taking a picture in samurai district and making a DVD or one-day-tour with Kimono. And they speak English.Rent kimono a day is aveilable in Nagamachi Yuzenkan. They also have Kimono exhibition room and even they offer painting experience. Nagamachi Yuzen-kan is close to Nagamachi samurai district. By bus from Kanazawa station, it takes 10 minutes. The closest bus stop rom Nagamachi Yuzenkan is Korinbo (RL4, LL3). From the bus stop, go to the west to Nomura samurai house. From Nomura samurai house, go to the north and turn to the left at the first corner. Walking to east for 1 minute to Nagamachi Yuzankan.